Seldom does it seem necessary to avail oneself of a compilation album, especially if one is a fan, knows the material, and has everything essential, where it’s easy enough to create your own compilation. For the most part compilations are rather strange birds, and while they certainly exist to give music lovers the hits, these albums seldom follow a linear defined timeline to move through the music, as was the case with the so called ‘definitive’ boxed set Citizen Dan, where as of its release, containing merely four discs, it could have easily been released as a remaster, being inclusive of all the band’s albums, plus bonus material from each of those outings … now that would have been something to wave a flag about. Nevertheless, Gold, The Expanded Edition is a great romp through the music of Steely Dan throughout their various incarnations. Interestingly enough, the major compilations from Steely Dan include their 1978 Greatest Hits, then Gold in 1982, which is basically a Greatest Hits Volume II. For the most part, Gold is comprised of material released between 1973 and 1980, including “FM (No Static At All), along with two songs from both Aja and Gaucho, along with one track each from Countdown To Ecstasy, Katy Lied and The Royal Scam; which is hardly an inclusive collection. Then nearly a decade later, for some reason, it was decided to release the Expanded Edition of Gold that included four additional songs, “Here At The Western World,” which was only available on the 1978 Greatest Hits, a live version of “Bodhisattva” which had shown up as a B-Side on the single of “Hey Nineteen,” along with “Century’s End” (movie Bright Lights, Big City - 1988) and “True Companion” (movie Heavy Metal - 1981), both of which had been Donald Fagen numbers from film soundtracks. Then some quick thinking individual saw the wisdom in swapping the original radio edition of FM (No Static At All) with the alternate reprise edition which include the brilliant saxophone solo that replaced Walter Becker’s guitar solo fadeout, and while that may not sound like much, this is the only place to find this version of FM as a vinyl version. While the vinyl pressing is very good, and the CD certainly well constructed, aside from the remix of FM, there’s little reason to send you running out for copy of this, though again, as a vinyl release it does demand some notability and a place in your music collection if you are a Steely Dan fan for that version of FM alone. All of that being said, the companion CD A Decade OF Steely Dan will fill in much of the lacking material, with the song “Babylon Sisters” being the only track that is repeated on both albums … there is a differing version of the song “FM” on each album. Feel as you may about compilations … this super sounding release. Not sure what makes this a repress, when the promo has the same label. "Here at the Western World" is one of Steely Dan's finest songs, both musically and lyrically. Something of an orphan, it was recorded during the Royal Scam sessions but not included on any studio album. "True Companion" is a laid-back track that fits nicely with the style on The Nightfly. "Century's End" is a totally forgotten track, but is very important because it signaled the beginning of the "new" Steely Dan sound (even though it's a Fagen track). This new sound killed the heavier bass lines and debuted a less-smooth, late-80s "goofy" (for lack of a better word) sound that persists to this day. As a result, their music lost most of the kick it used to have. Bodhisattva is (sadly) the only live track from their early days ever released in any official form. It's an unremarkable version of the song, but it proves that they were a tight live band even then. Being the last of the Steely Dan compilations before the reunion in 1993, Gold offers an odd selection of tracks. Greatest Hits (1978) and Decade (1985) exhibit the same flaw. Can't Buy a Thrill and Pretzel Logic are not represented here. The title track from aja isn't on any of these compilations. 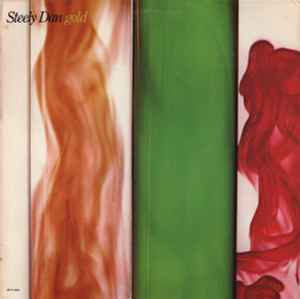 Still, there aren't many bad Steely Dan tracks, and this album does a good job of rounding up the odds and ends. And it's nice to see "King of the World" get some recognition, as it's one of their best. But why was "Green Earrings" included? It's a decent song, but definitely not the one I'd pick to represent Royal Scam. Five of Gold's twelve tracks aren't from any album. Additionally, this version of "FM" is different than the one on Decade. It has an extra sax solo instead of a guitar solo; this is the same version that the Citizen box set contains. All in all, this expanded edition is probably the best single-disc SD compilation.